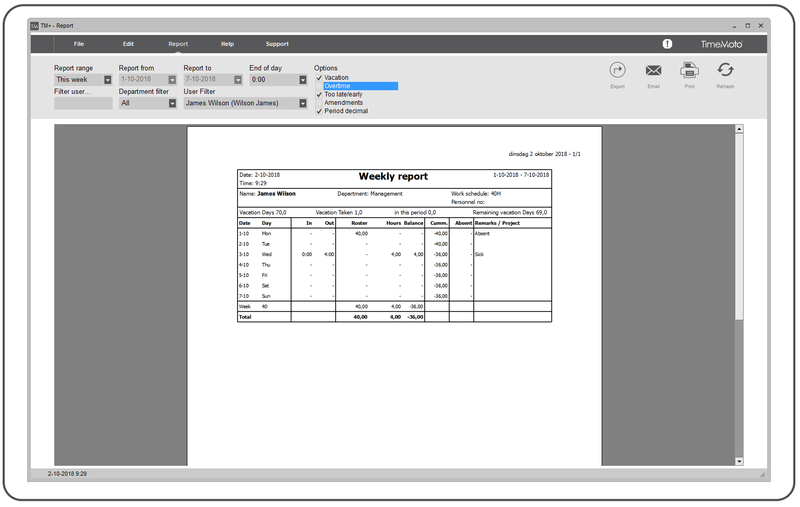 We have added a new absence duration feature for the flexible work schedule components in TimeMoto PC / PC Plus Software. 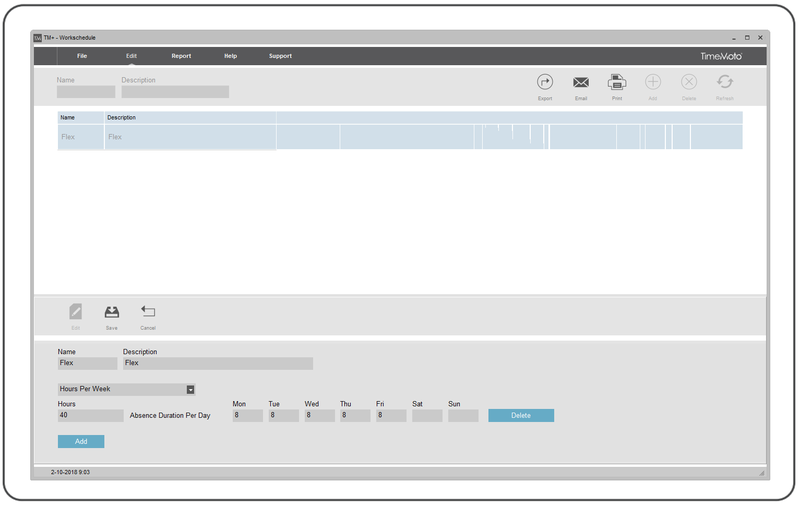 With this feature, you can define the hours of absence per day when a user is assigned a work schedule of hours per week or per month. The absence duration will be used when the user is planned as sick, on vacation, or during bank holidays. The absence duration can only be defined for work schedules using "Hours per week" or "Hours per month". For work schedules using "Time In/Out" or "Hours per Day", there is no need to define the absence duration. The software already knows how many hours of absence should be calculated. Flexible work schedule per week with a predefined absence duration per day. When you now want to schedule an absence for the user, you can do so under [Edit] > [Planning]. 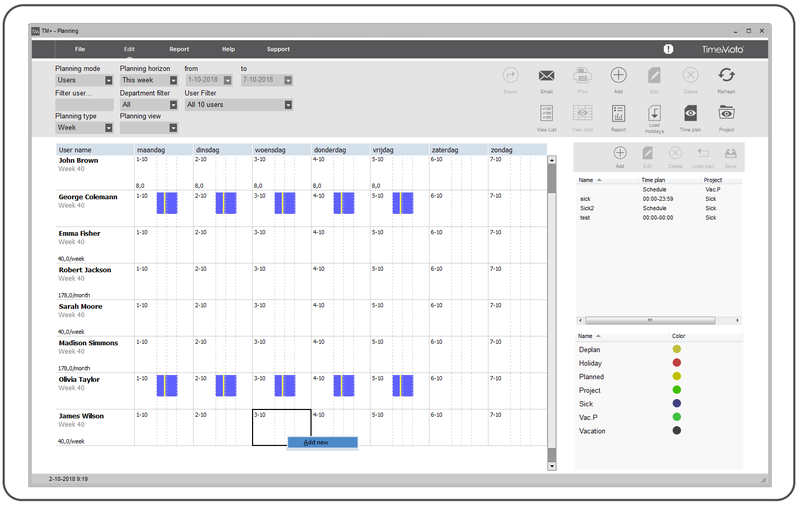 In the Planning, select the user you want to schedule the absence for. Right-click on a day and select "Add new". A new windows appears. Here, select "Absence". Under "Project", you select the type of absence you want to plan. 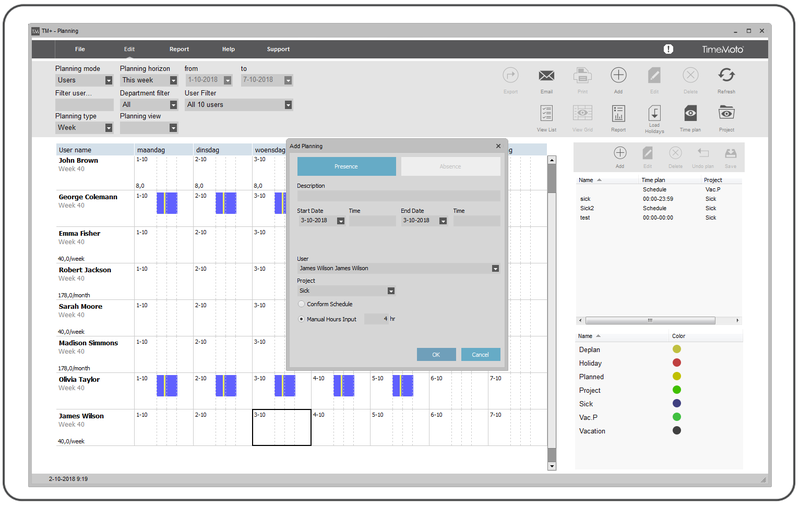 You can then select "Conform Schedule" to use the absence duration used in the user's work schedule. Alternatively, you can selectWhen planning an absence, you can either select the whole day with the predefined absence duration you have set in the work schedule. Alternatively, you can select "Manual Hours Input" to define a different amount of time used as absence duration. This is useful when, for example, the user has only half a day of vacation. In the report created under [Report] > [Report], you will see the amount of absence duration. Depending on your settings, this will either show the absence duration set in the work schedule or manually set in the Planning.